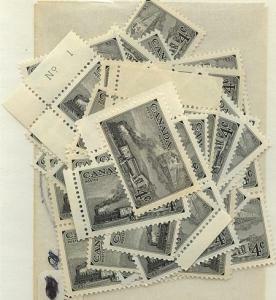 1951 4c Capex with modern and old trains - 50 mint stamps including blocks. F+-VF-NH. Buyer pays shipping cost (we use attractive Canadian stamps on our shipments). Cost to ship in Canada is Can. $1.30, cost to ship to US is US $2.20, cost to ship overseas is US $3.50. Canadian buyers will be charged applicable tax. 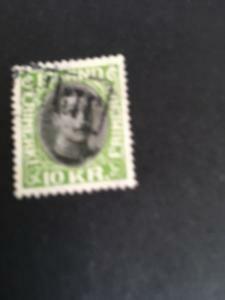 Buyer can choose to pay for postal registration in addition to 1st class mail shipping cost. Can./US cheques/money orders/Paypal accepted. Canada USC #300i Mint 1950 4c Carmine Coil Jump Strip of Four F-NH Cat. $70. 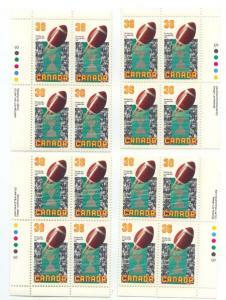 Canada - USC #1154 1987 Football & Grey Cup Mint Imprint Blocks VF-NH Cat. $15.